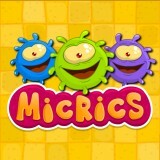 Here you will fight with really bad viruses. Just move blocks and push it! Be very attentive and have a lot of fun!